Treat yourself to a dozen of our creamy original pecan pralines. Select an assortment of your favorite creamy praline flavors. Our original pecan pralines cut into thick squares. Whole pecans coated with our sweet, creamy praline mix. 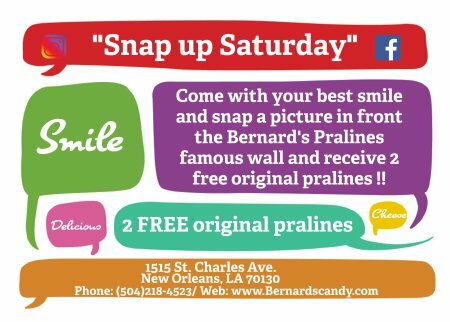 Copyright © 2019 Bernard's Pralines. All Rights Reserved. Website by Media Quest Inc.